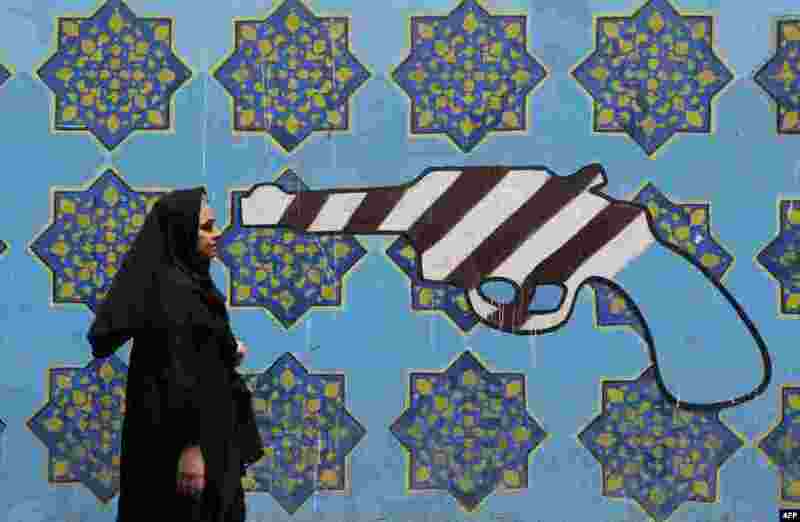 1 An Iranian woman walks past a mural depicting a gun painted on the wall of the former US embassy in the capital Tehran. 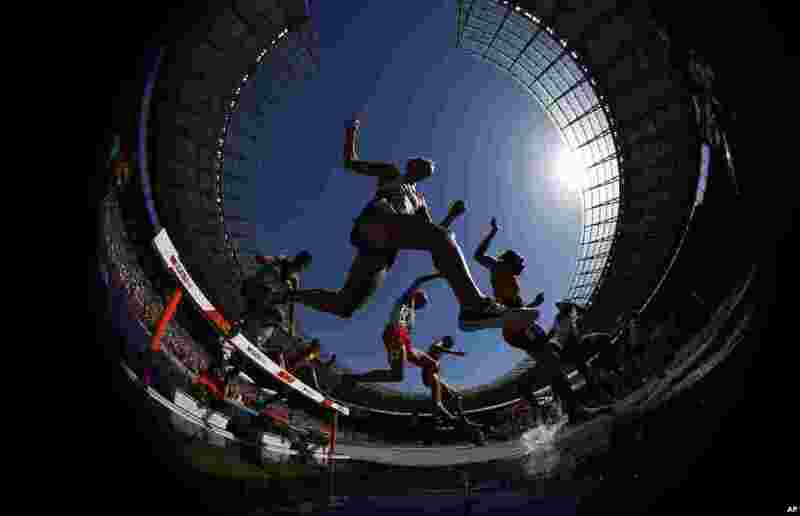 2 Athletes clear the water in a men's 3000-meter steeplechase heat at the European Athletics Championships at the Olympic stadium in Berlin, Germany. 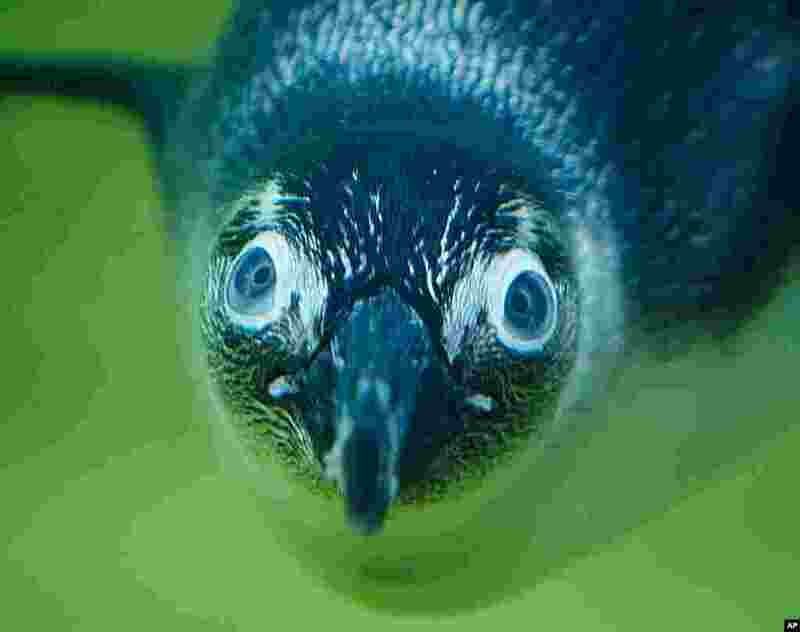 3 A jackass penguin dives in the zoo in Kronberg near Frankfurt, Germany. 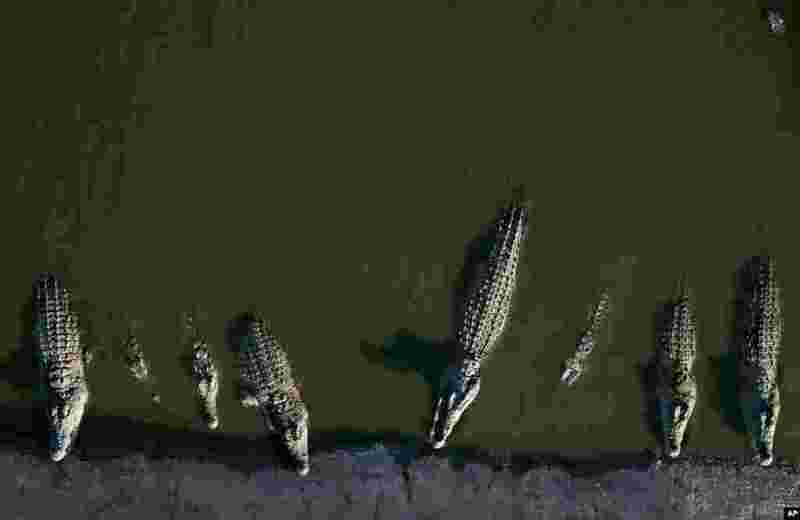 4 Crocodiles rest at a a farm in the Jordan Valley, West Bank.